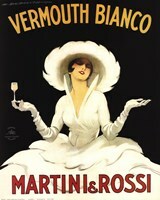 Italian Printmaker - Marcello Dudovich, (1878 – 1962) is considered one of the greatest of Italian poster artists. Influenced by Penfield, Hohenstein (his friend and teacher) and Mucha, he developed his own style; very graphic, with rich colours. 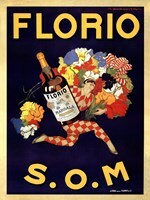 He became the official poster artist for Mele, the great fashion department store and had a long and prolific career.